1.tv Georgia (Georgia) momenteel ongecodeerd (FTA) te ontvangen (11213.00MHz, pol.H SR:14400 FEC:3/5 SID:8505 PID:510[MPEG-4] /521 Georgian). 1.tv Georgia is encrypted again after being temporarily unencrypted on 11213.00MHz, pol.H SR:14400 FEC:3/5 SID:8505 PID:510[MPEG-4] /521 Georgian (BISS). 1.tv Georgia (Georgia) momenteel ongecodeerd (FTA) te ontvangen (11213.00MHz, pol.H SR:14400 FEC:3/5 SID:8505 PID:510[MPEG-4]/521 Georgian). 1.tv Georgia is encrypted again after being temporarily unencrypted on 11213.00MHz, pol.H SR:14400 FEC:3/5 SID:8505 PID:510[MPEG-4]/521 Georgian (BISS). 1.tv Georgia (Georgia) is in DVB-S2 van start gegaan op 11213.00MHz, pol.H SR:14400 FEC:3/5 SID:8505 PID:510[MPEG-4]/521 Georgian - FTA. 1.tv Georgia is nu gecodeerd in BISS (11095.00MHz, pol.H SR:30000 FEC:5/6 SID:1 PID:1010[MPEG-4]/1011 Georgian,1012). 1.tv Georgia (Georgia) momenteel ongecodeerd (FTA) te ontvangen (11095.00MHz, pol.H SR:30000 FEC:5/6 SID:1 PID:1010[MPEG-4]/1011 Georgian,1012). 1.tv Georgia is encrypted again after being temporarily unencrypted on 11095.00MHz, pol.H SR:30000 FEC:5/6 SID:1 PID:1010[MPEG-4]/1011 Georgian,1012 (BISS). 1.tv Georgia switched to DVB-S2 at 11095.00MHz, pol.H SR:30000 FEC:5/6 PID:1001/1011 Georgian,1020 Georgian. 1.tv Georgia (Georgia) momenteel ongecodeerd (FTA) te ontvangen (11472.00MHz, pol.H SR:23450 FEC:5/6 SID:1 PID:1001/1011 Georgian,1012). 1.tv Georgia is nu gecodeerd in BISS (11472.00MHz, pol.H SR:23450 FEC:5/6 SID:1 PID:1001/1011 Georgian,1012). 1.tv Georgia (Georgia) momenteel ongecodeerd (FTA) te ontvangen (11095.00MHz, pol.H SR:27500 FEC:5/6 SID:1 PID:1001/1011 Georgian,1020 Georgian). Nieuwe frequentie voor 1.tv Georgia: 11135.00MHz, pol.H (DVB-S SR:27500 FEC:5/6 SID:2 PID:1001/1020 Georgian- BISS). 1.tv Georgia is encrypted again after being temporarily unencrypted on 11095.00MHz, pol.H SR:27500 FEC:5/6 SID:1 PID:1001/1011 Georgian,1020 Georgian (BISS). 1.tv Georgia is nu gecodeerd in BISS (11095.00MHz, pol.H SR:27500 FEC:5/6 SID:1 PID:1001/1011 Georgian,1020 Georgian). 1.tv Georgia is encrypted again after being temporarily unencrypted on 11472.00MHz, pol.H SR:23450 FEC:5/6 SID:1 PID:1001/1011 Georgian,1012 (BISS). 1.tv Georgia (Georgia) is in DVB-S van start gegaan op 11472.00MHz, pol.H SR:23450 FEC:5/6 SID:1 PID:1001/1011 Georgian,1012 - FTA. 1.tv Georgia (Georgia) is in DVB-S2 van start gegaan op 12207.00MHz, pol.V SR:27500 FEC:5/6 SID:3030 PID:3031[MPEG-4]/3032 Georgian - BulCrypt & Panaccess. 1.tv Georgia (Georgia) is in DVB-S2 van start gegaan op 12266.00MHz, pol.H SR:27500 FEC:5/6 SID:3030 PID:3031[MPEG-4]/3032 Georgian - BulCrypt & Panaccess. 1.tv Georgia is back on 11221.00MHz, pol.H SR:27500 FEC:3/4 SID:2 after a break ( PID:33/32 Georgian - FTA). 1.tv Georgia in DVB-S op 11472.00MHz, pol.H SR:23450 FEC:5/6 SID:1 PID:1001/1011 Georgian,1012 Georgian (FTA). Nieuwe SID voor 1.tv Georgia op 11472.00MHz, pol.H: SID:1 ( SR:23450 FEC:5/6 PID:1001/1011 Georgian,1012 Georgian - FTA). 1.tv Georgia in DVB-S op 11095.00MHz, pol.H SR:27500 FEC:5/6 SID:1 PID:1001/1011 Georgian (FTA). 1.tv Georgia (Georgia) is in DVB-S van start gegaan op 11221.00MHz, pol.H SR:27500 FEC:3/4 SID:2 PID:33/32 Georgian - FTA. 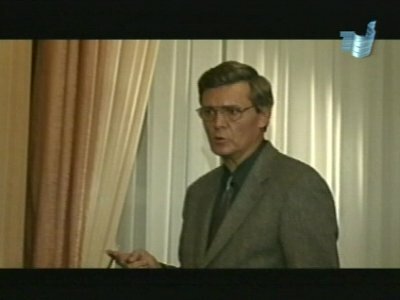 1.tv Georgia is testing in DVB-S FTA on 11472.00MHz, pol.H SR:23450 FEC:5/6 SID:1 PID:1301/1311 English,1518 English. Nieuwe SID voor 1.tv Georgia op 11472.00MHz, pol.H: SID:2 ( SR:23450 FEC:5/6 PID:1001/1011 Georgian - FTA). Nieuwe SR voor 1.tv Georgia op 11472.00MHz, pol.H: SR:23450 ( FEC:5/6 SID:1 PID:1001/1011 Georgian - FTA). Nieuwe frequentie voor 1.tv Georgia: 11472.00MHz, pol.H (DVB-S SR:24118 FEC:3/4 SID:1 PID:1001/1011 Georgian- FTA). 1.tv Georgia switched to Eutelsat 36B satellite at 12561.00MHz, pol.V (DVB-S , 12561.00MHz, pol.V SR:3255 FEC:3/4 PID:776/4112 Georgian). 1.tv Georgia (Georgia) is in DVB-S van start gegaan op 12561.00MHz, pol.V SR:3255 FEC:3/4 SID:1 PID:776/4112 Georgian - FTA. PID zijn veranderd voor 1.tv Georgia op 12605.00MHz, pol.V: PID:776/4112 Georgian SID:1 ( SR:2962 FEC:3/4 - BISS & FTA). PID zijn veranderd voor 1.tv Georgia op 12605.00MHz, pol.V: PID:512/4112 Georgian,4128 English SID:1 ( SR:2962 FEC:3/4 - FTA). 1.tv Georgia (Georgia) is in DVB-S van start gegaan op 12605.00MHz, pol.V SR:2962 FEC:3/4 SID:1 PID:308/256 Georgian - FTA.